Cash Sniper is a make-money-online (MMO) program created by a man named Ray Pickard. You can access the system at CashSniper.co, and the cost is $9. Cash Sniper advertises itself in the sales video as an affiliate marketing program that’s “the ultimate hands free money-making system for beginners.” They claim you can make up to $25,000 a week working just a few minutes a day! Right away I can see that this program is being targeted to those who are naive and inexperienced. Anyone who has experience at all with affiliate marketing knows that this claim is totally unrealistic because it just doesn’t work that way. It takes time, commitment, and a lot of effort to start making a lot of money online. You can’t just throw a website up and expect to get tons of traffic and start making money right away. You’re only going to get traffic by the search engines ranking you highly or by having a large email list to market to. The search engines won’t trust a new site until it gets to be at least 6 months old and is still actively adding new content. That’s because they know that many sites get abandoned by that time. As far as an email list, no beginner is going to have one, they’ll be starting to build one from scratch. Anyone who has a large enough list to start generating big profits would never need to buy an MMO program like Cash Sniper. There are several testimonials in the sales video claiming that Cash Sniper has made them huge profits in a short time. However, I believe they’re all paid spokespersons and don’t believe any of them. In my opinion, there’s absolutely no reason to believe that anyone in the Cash Sniper sales video has used the system to make any money at all. In my experience I’ve found that if the program is real and legitimate, their testimonials will be real and legitimate. The rest of the sales video gives you no real information at all about why you would be buying. They show you a lot of “profit” numbers that don’t mean anything, and then tell you that you can earn money every time someone purchases from sites like Amazon, eBay, Shopify, Clickbank, and YouTube. Affiliate marketing is a solid business model for beginners. 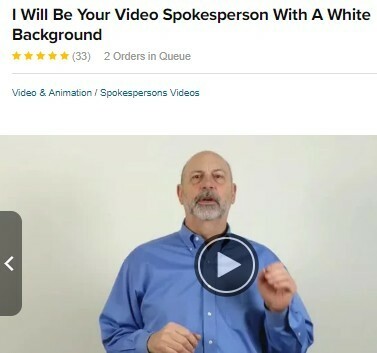 But this sales video is completely misleading about how you do it, the time it takes, and the profits you can make. So in order to see exactly what you get with Cash Sniper, I bought the program for $9 and will detail what I found below. The introduction asks you to download your products from the links provided. As you can see, Step 1 is signing up for a VIP Members Workshop with internet millionaire John Crestani. However, this isn’t part of the Cash Sniper system, it’s actually a webinar to try to sell you John Crestani’s separate MMO program, Super Affiliate System. Right away, does this make sense to you? I just bought a program that is supposed to make me no less than $25,000 a month working less than 10 minutes a day, and the first thing they want me to do is buy another make-money-online program?! That right there should be more than enough to tell you that Cash Sniper is not a legitimate program than can live up to any of its claims. Cash Sniper is set up as part of a sales funnel to get you to buy the Super Affiliate System so that the owner of Cash Sniper can get commissions from the buyers that he refers. John Crestani is the actual owner of Cash Sniper and is using it as a sales funnel to his other system. Either way, the program that I purchased is Cash Sniper, and I did not spend $9 for the privilege of looking at another sales video for something I shouldn’t ever need to purchase! Continuing on, the next section is the Cash Sniper Main Guide. When I downloaded this guide, what I found is a 24 page PDF file that gives a general overview of affiliate marketing. That’s it! No videos, no step-by-step instructions, no in-depth manual–just an overview. Not only does the guide give general information, but I didn’t see anything in there that I couldn’t have found by doing a search on Google. So the information is available online for free! What I didn’t find was anything that would enable a beginner to make money with affiliate marketing–much less to start making $3,500 today as the sales video claimed. If you look again at the system menu, the rest of the options are for the upsells that were offered before I was able to gain access to the members area. I’ll detail them for you next! ~ Cash Sniper Secret Method, selling for $197–They claim that the secret to making money online is traffic, and this upgrade will put an extra $1 million in your pocket this year! They show you this message: What?! First they want you to buy a whole other MMO system. Now they say you’ll have years of frustration and you could waste thousands of dollars on trash traffic if you don’t give them $197 for this upgrade? They tell you that their traffic source is a close guarded secret and can only be shown to a certain number of people so it doesn’t hurt their profitability. The only reason they ask you to pay for it is to show you’ll actually use it–then they’ll know you deserve to be one of the chosen few! This is the kind of marketing hype used by scam type programs to lure in those who are inexperienced and naive. They want to make you believe that there is a “secret” out there that all millionaires have, and you can have it too–for a price! I passed on this upsell and am confident that any traffic techniques they could show are readily available online. ~ $50 Discount on Cash Sniper Secret Method–Passed again, didn’t see any value in the upsell at $147 either. ~ Cash Sniper X, selling for $177–This upgrade is supposed to be everything you need to become rich being an Amazon affiliate! Cash Sniper X is supposed to enable you to earn $100,000 a month in passive income. You will be all set up, and it will require no additional work, time or skill. Beginners can go from step 1 to having a fully functional Amazon shop in minutes! Anyone who has ever been an Amazon affiliate knows that these claims are simply ridiculous, it just doesn’t work that way. Again, you can tell that newbies are being targeted because they won’t have the experience to know that. I passed on this upsell as well. ~ Cash Sniper Profit Booster, selling for ?? ?–The sales video for this upsell wasn’t available, so I don’t have information on what it’s supposed to do or how much it costs. However, I can confidently say that after seeing all the marketing hype from the basic system and other upsells, I would have passed. As I looked over the Cash Sniper program menu, I noticed something about my membership status. It said that my level was Platinum Upgraded even though I had only bought the basic system. So I took a look at the Clickbank listing for Cash Sniper, and sure enough, the upsells are 1-Click upsells! What that means is that if I click on any of the categories in the menu for the upgrades, I’ll immediately be charged for them on my credit card. There won’t be any page where I would look over the order and click that I intend to purchase. It will just be an immediate charge to my card! So even though someone may only purchase the $9 system, most people would click on the upgrade categories to see what’s in them if it’s showing that they had a Platinum Upgraded membership level. The only reason I didn’t was because I’ve been caught in that trap before! I believe that 1-click upsells are unethical and no legitimate program needs to use them to sell their product. The fact that Cash Sniper utilizes this practice is enough in itself for me to not recommend the system. 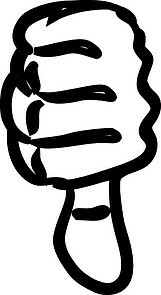 ~ Fake Testimonials–The testimonials were made by paid spokespeople, which is always a concern when evaluating a system. Any legitimate program that I’ve reviewed uses real testimonials from people who have successfully used their system to make money. 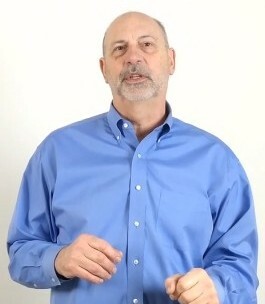 ~ Scammy Marketing Techniques–The kind of marketing tactics used in the sales videos are designed to dazzle you with big promises, but they never tell you anything about the system itself. Again, no legitimate program markets this way because they know their system has value and are happy to show it to you before you purchase it. 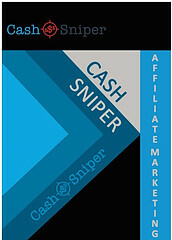 ~ Very Poor Quality Guide–The Cash Sniper Main Guide is just an overview of affiliate marketing. There is nothing in this program that a beginner could use to start making money, and all the information is available for free online. ~ Program Is A Sales Funnel–Cash Sniper is used as a sales funnel to get you to buy another MMO program, Super Affiliate System. So you are asked to buy hundreds of dollars worth of upsells with Cash Sniper, then you’re supposed to immediately go to another sales video for a second system as soon as you access the first one! ~ 1-Click Upsells–I will never recommend a program that uses the practice of 1-click upsells, especially one that tries to lure you into clicking on them with a false membership status! 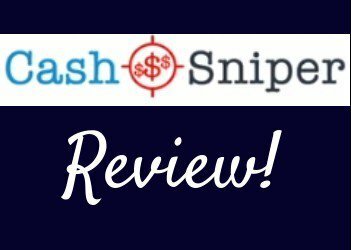 Here at Build Your Early Retirement, we give Cash Sniper our lowest rating of 1 out of 5, and we highly recommend that you do not buy this system! You will not make the money they claim, it could cost you a great deal of money if you follow their recommendations, and I believe that I can definitely classify this program as a scam. For those of you who want to make real money online, you need to know that it will take time and effort–there is no get-rich-quick scheme out there that will work! If you are willing to put that time and effort into it, a legitimate program will show you how to make long-term, consistent, substantial money with affiliate marketing. Check out the review of my #1 rated platform, and you’ll definitely see the difference between what they offer and other MMO programs out there. I currently have 6 websites hosted with them, and they taught me everything I know about starting an online business. You can see everything this platform offers for free with their starter membership and even start 2 websites–no credit card required! Do you have any experience with Cash Sniper? If so, we’d love to hear about it, as well as any questions you have, in the comments below! Oh wow! Thanks for this! I am always looking at affiliate training programs and this one would have probably caught my eye. But like they say, if it sounds too good to be true, it’s probably not good. That’s a very sneaky way for them to make money. One of the worst I have seen ever. Thanks for going through with this and providing such an in depth review! You’re welcome, and I’m so glad you research programs like this before trying them! 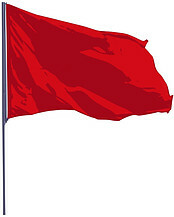 Cash Sniper is a make money online program that has red flags flying here and there. You don’t need a prophet to tell you that it’s a scam, neither do you need to look far to see the large loop holes that will most definitely sink it. The first and most glaring loop hole is the incredible claim that one can make up-to $3500 in twenty-four hours. That’s preposterous! I totally agree! It’s obvious to those of us who are experienced. Unfortunately, newbies won’t understand just how ridiculous the claims are and believe that they can really make that kind of money fast. The rate of growing of scam website is on the rise in recent years with millions scammed and millions being scammed. $3000 a day? This outrageous and no clear definition of how! The get rich quick syndrome is the only reason people get scammed. Whenever I see any unreasonable and unrealistic promise,I take cover! If it’s too good to be true then it’s not true. Thanks to people like you exposing them for what they are: scam.people should understand that it takes time and effort for you to succeed in online business just like offline business. You’re welcome! It’s heartbreaking to realize how many scam programs there really are out there and just how many people fall victim to them trying to find a way to make their lives better. Hopefully they’ll read reviews and learn how to spot scams and recognize legitimate programs when they find them! I appreciate this Janelle. So many scams make money online targeted at the naïve and greedy fellows. it is a pity many would have fallen for this scam without taking the time to do their findings. 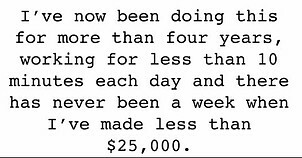 I agree with you, the claim of making $25,000 weekly with less than 10 minutes’ work is just outrageous. There is a rule of thumb I follow in every business or investment deal, ” if it sounds too good to be true, then it is not true.”. Every legit business that includes affiliate marketing takes time, effort, and patience, it is not a get rich quick one like the cash sniper. You’re exactly right–time, effort, and patience are key! Once people understand that, it’s easy to spot the scam programs. But so many people are desperate and inexperienced and willing to believe the outrageous claims because they know it would change their family’s lives. Knowledge is king, and if I can teach people with my reviews, then hopefully I can keep them away from programs like Cash Sniper! Thank you for keeping alerting us about cash snipper and all their fake promises. When I first read that their testimonials aren’t real and legitimate I was already suspecting about this MMO. And their promise that you can make $25,000 per week makes it even more irreal. With the red flags it’s also possible for people to stop falling to these scams. Your website is raising awareness about these fake MMOs and helping people to stay away from them. One of the goals with my site is to keep people from falling for scams and poor quality MMOs that won’t help them make money. The more educated people are, the more likely they’ll spot scams and recognize legitimate programs. Thank you so much for taking time to read my review!